If you selected My Own Personalization, please fill in the field below. If selecting Temple Name or No Text, leave this field blank. Elder Russell M. Ballard said, "Each holy temple stands as a symbol of our membership in the Church, as a sign of our faith in life after death, and as a sacred step toward eternal glory for us and our families." 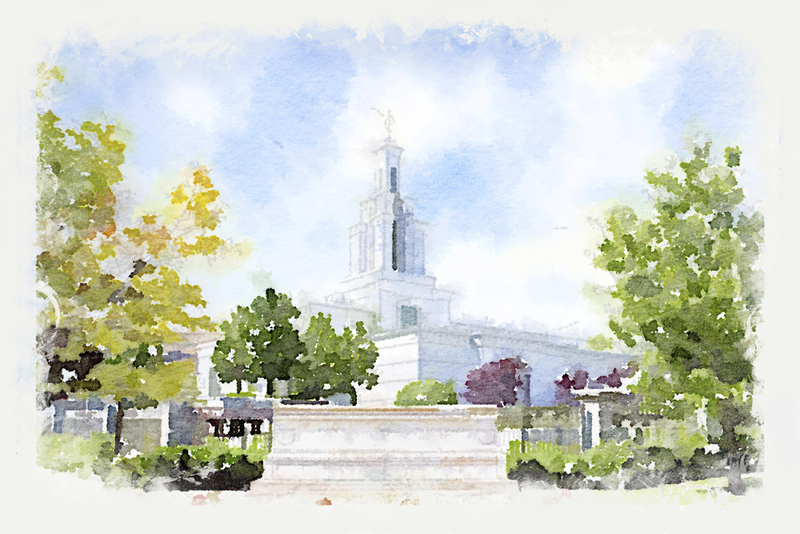 This light and delicate watercolor rendition of this Temple captures it's simple beauty. 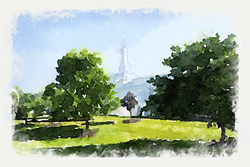 It is printed on premium fine art paper and can be customized with a single line of personalized text. Personalizations are optional but can complement the image by highlighting family names or other special wording. Text positioning, font, and size are as shown in the images above. 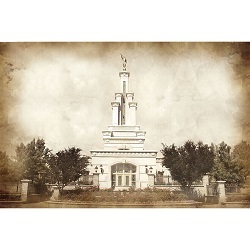 Alternatively, you can order the watercolor temple without a customization. 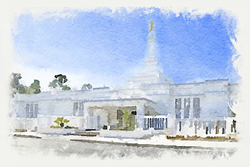 Size Options: Our watercolor temple prints are available in 5 different sizes, made to fit any wall or budget.To view our size options, click here. 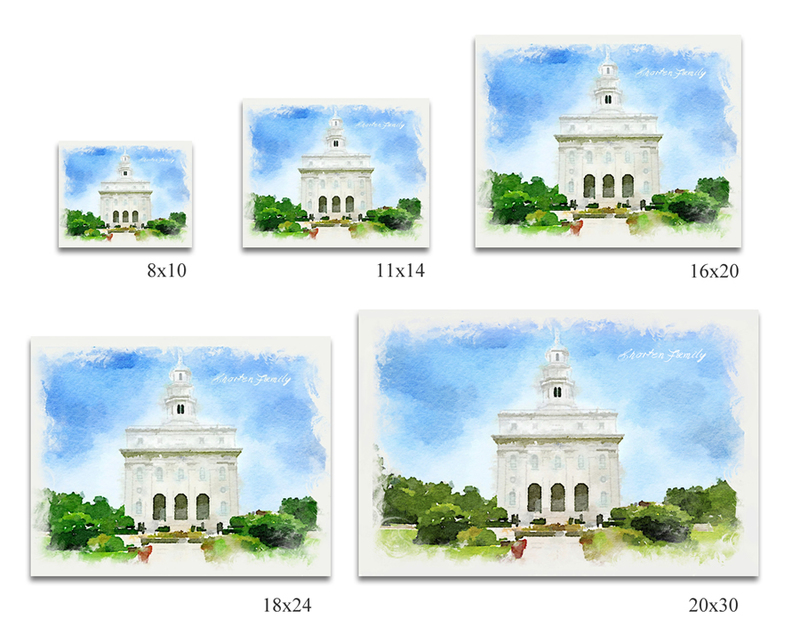 Please Note: The two largest sizes (18?24 and 20?30) are printed on a larger format high quality Enhanced Matte paper.